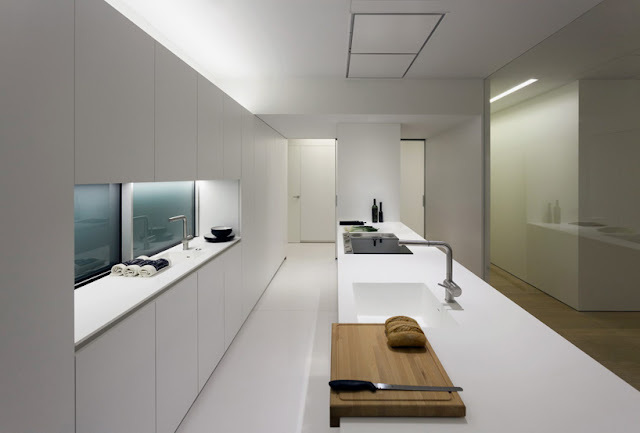 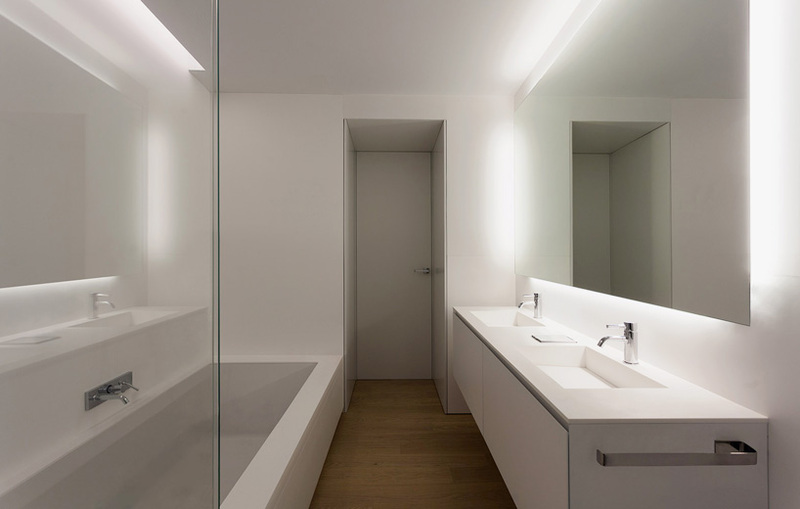 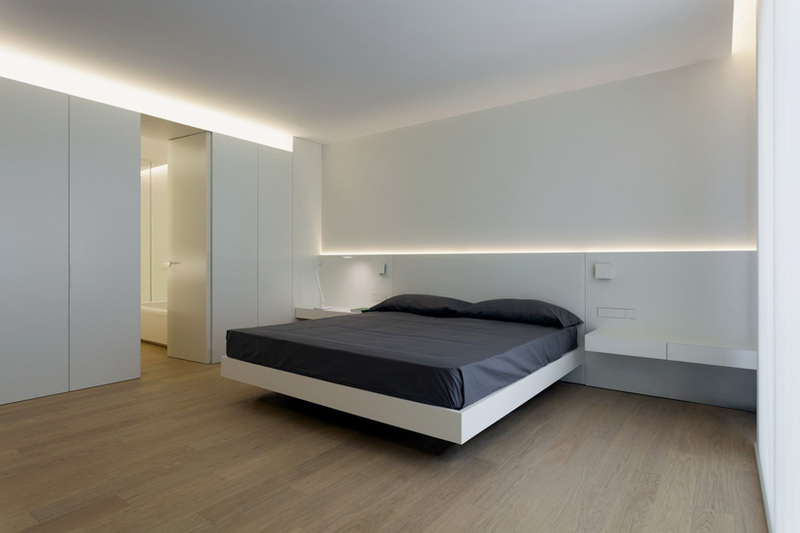 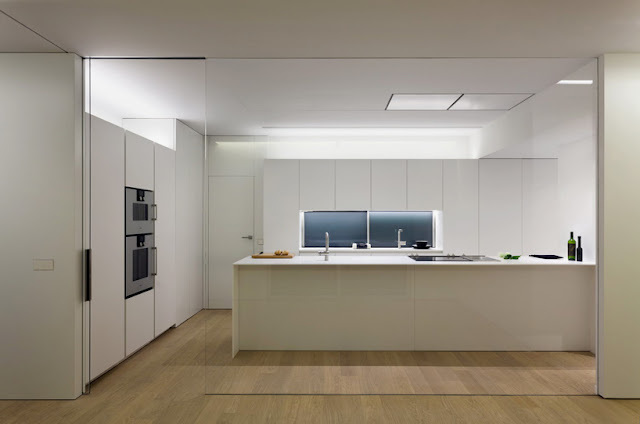 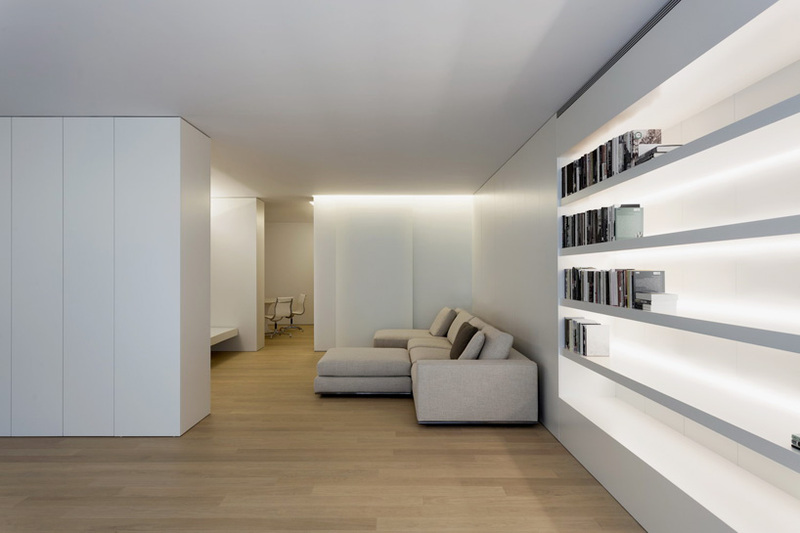 Set on a typical building in a 19th century district area of Valencia, Spain, this minimalist apartment’s interior has been completely renovated by Fran Silvestre arquitectos. 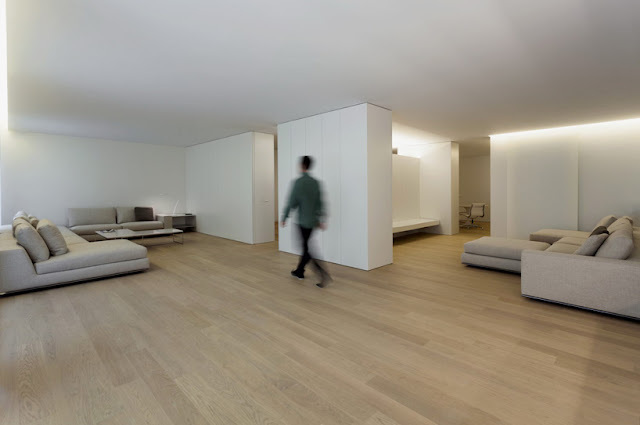 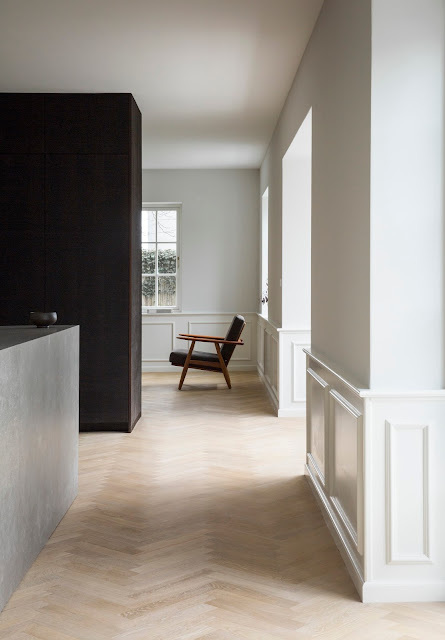 The new open plan space is designed as a series of continuous spaces defined by furniture and large sliding doors that allow for a variety of configurations. “This home is set on a typical building of the Ensanche (19th century expansion) of Valencia. 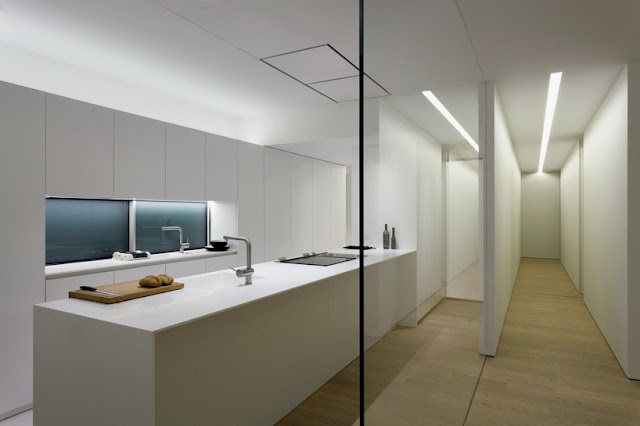 A typology of square urban blocks with chamfered vertices, that generates long and narrow housing units which are lit by inner patios.